“IMAGINE PEOPLE LYING ON A SUBTERRANEAN LAWN,” James Ramsey told the Village Voice. Until I read that line I couldn’t fully grasp how badass this project really is. Like all great ideas, it’s actually super simple: if you live in an urban area with no available green space, create it underground. Delancey Underground visionaries Dan Barasch and James Ramsey are working with the MTA and local communities in Manhattan’s Lower East Side to transform the former Williamsburg trolley terminal (out of commission since 1948) into the world’s first underground park. The project has already gotten “a ton of support from the community and the city,” and the next step is to create a full-scale installation of the technology and concept as a demonstration for the MTA, the community, and supporters, who are welcome to visit. 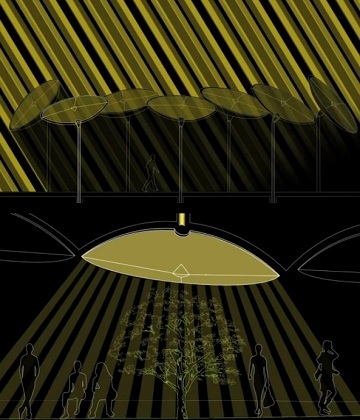 Please see the Lowline Project’s Kickstarter page for more information and to become a supporter.